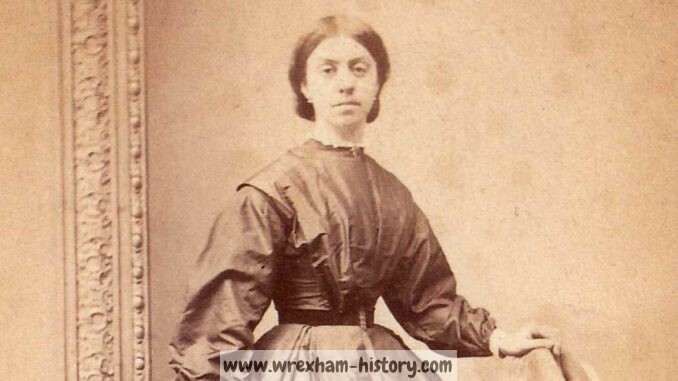 Harriet was born on November 22nd 1834, the youngest daughter of Thomas and Sarah Rogers of Bryn Goleu. 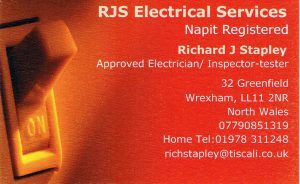 Thomas was the Erddig Carpenter. 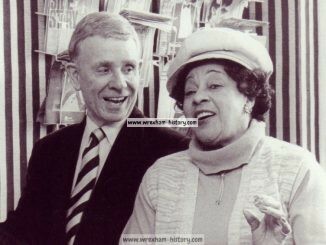 She received a good education encouraged by Mrs Yorke. By the age of nearly 10 had excellent handwriting as can be seen on the letter (dated October 30th1844) full of all the local news that Harriet sent to her older sister Eliza who was in service in Liverpool. The family still own her sampler, sewn when she was 10 years old. 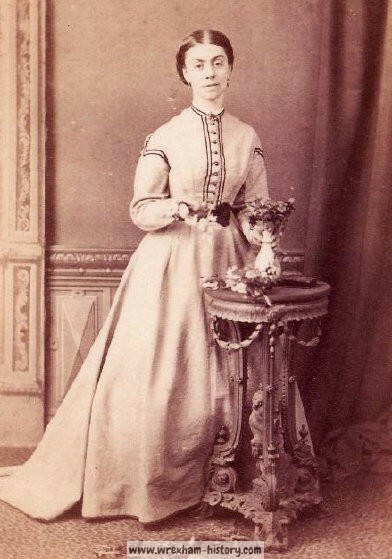 Her older sister Eliza then returned to Erddig in 1847 to be nurse to the new Yorke babies, Etheldred (b1847) and Philip (b 1849) but left in 1852 to get married. Harriet replaced her sister in 1852 and was nurse for the next 10 years as more children – Agneta Susan (b 1854) and Victor (b 1857) – were born. 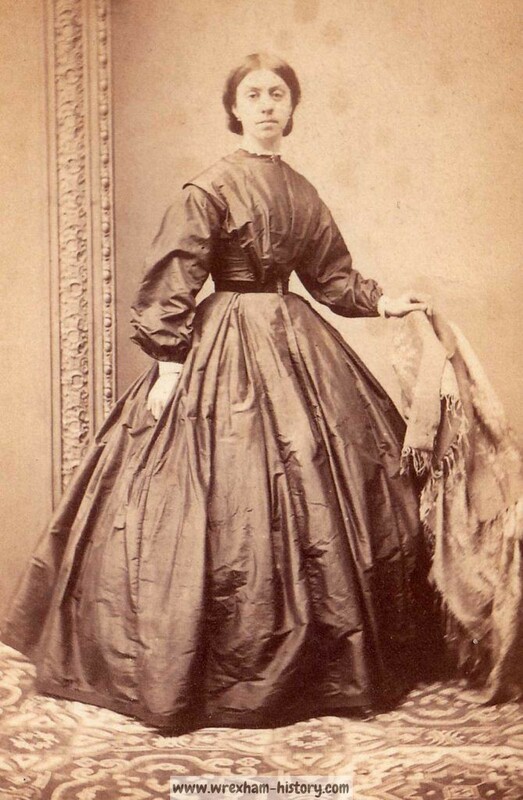 In 1859 Harriet was promoted to be Ladies Maid to Victoria Yorke and was to be Ladies Maid for 12 years. Harriet travelled in this country and abroad with Mrs Yorke, for example in 1869 a 2 month visit to the continent accompanying Mrs Yorke & her father who were entertained at the courts of Europe. Harriet kept a diary of the journey, with accounts of the many European cities and attractions they visited. 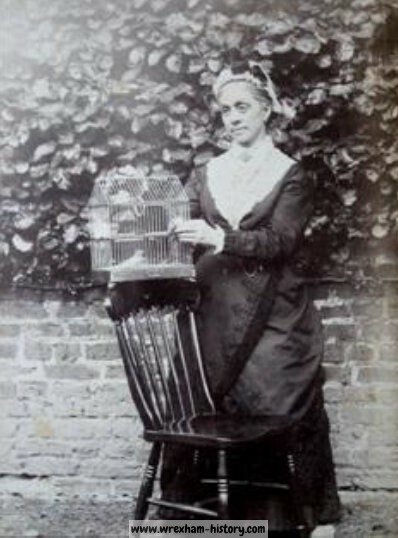 In 1876 the Erddig Cook/Housekeeper Mary Webster died and Harriet replaced her as Cook/Housekeeper. Mary died at Erddig and maybe Harriet had been doing her job for a while as Mary’s health declined. Some of the senior servants probably including Harriet, travelled to Knockin for Mary’s funeral. In 1877 Harriet’s wage was £35 per annum. 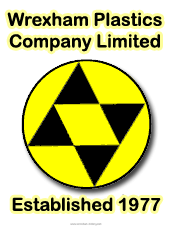 (paid per half year). 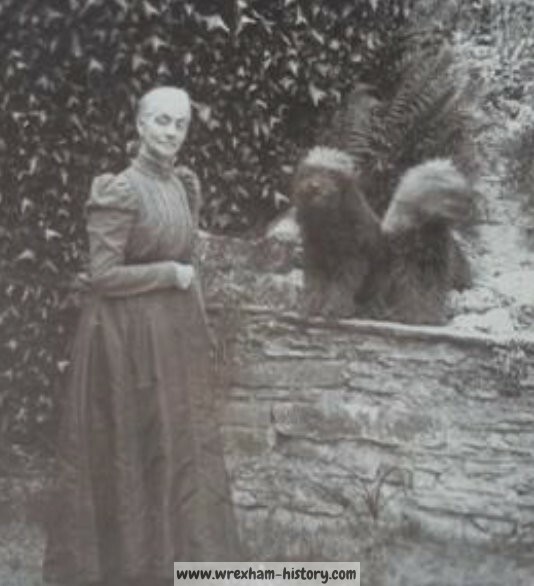 Sarah Rogers, Harriet and Eliza’s mother died at Bryn Goleu in 1886. Simon Yorke III died in 1894 followed by Victoria’s death in 1895. On April 1st 1895 Harriet left Erddig and was paid £9/8/6 as final payment. The following year Harriet went to work for Agneta Yorke on her marriage (age 42) to Henry Williams, Rector of Glyn Ceiriog in 1896. Harriet had been Agneta’s nursemaid from when she was born. She was to work there for 9 years. 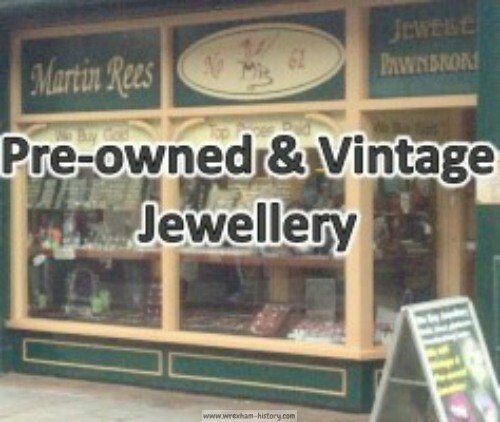 In 1896 Harriet bought 3 pieces of land in Peel Street and Bradley Road, from her nephew Thomas Rogers for £163.10.0d. She received rent from the tenants of the houses built on her land. 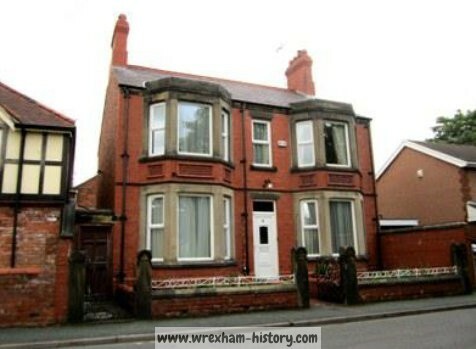 On Agneta and Henry’s death in 1908 Harriet retired to Wrexham (Bath Road) to live with her two nieces Maria and Ellenor Rogers, daughters of carpenter James Rogers. In 1911 Harriet aged 77, was living at “Bryn Goleu” 1 Bath Road, Wrexham, a substantial double fronted detached red brick house, just off Ruabon Road. 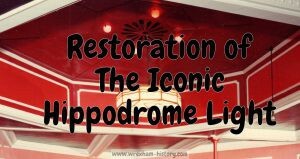 The houses she owned at her death were 50, 52 & 54 Princess Street, and 10, 12 & 14 Peel Street, all tenanted and paying her rent. Harriet died on 5th November 1914. 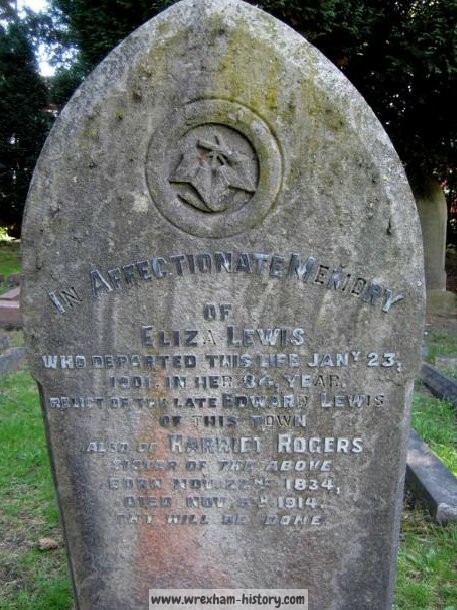 She is buried in Ruabon Road cemetery to the right of the main gate, in the same grave as her sister, Eliza Lewis and close to the grave of her brother James, his wife, and her nieces Ellenor and Maria. There is ivy carved on the headstone. Erddig where she worked for over 40 years, houses the National Ivy Collection! Source: Erddig Servant Record; Jill Burton. 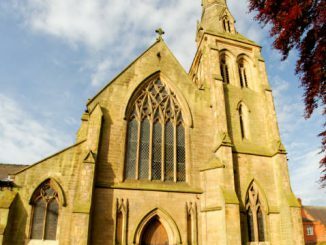 St. Mary’s Catholic Cathedral, Wrexham. 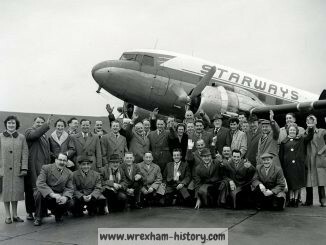 Wrexham FC fans having their photo taken in front of a Starways plane in the January of 1962. Source: NWNMedia.